Have you checked in with your primary care physician about how to stay healthy this holiday season? The end of this calendar year is drawing upon us fast. It can't mean anything else but the schedule of the coming weeks and months inevitably being filled with joyous family reunions, friendly get-togethers, and various company parties. It is indeed a beautiful period of time that most of us look forward to with anticipation and excitement. However, naturally, we are not immune to the stress that usually accompanies important events and long-awaited celebrations, with a large portion of our anxiety often stemming from providing holiday meals for many. This season of the year is characterized by back-to-back consumption of delicious, heavy, and unique meals and desserts, with time-consuming preparations spent in the kitchen, with food that is highly likely to be nutritionally low-quality, sugar-laden, and extremely unhealthy, if not downright dangerous for some with chronic health conditions. Digestive problems seem almost inevitable even for those who are otherwise healthy, weight gain is essentially synonymous with the holiday season, and many of us are familiar with the fatigue, brain fog, and an overall sense of malaise by the time the celebrations are over and we are ready to return to our regular daily routines. It is important to develop a game plan that's grounded and balanced, yet allows you to enjoy some delicious holiday meals. Do not set yourself up for failure — it is better to have realistic assumptions than to try to be strict with your dietary plans and habits. While you may find that certain meals are easy to forego, don't plan on entirely avoiding the ones you love and look forward to throughout the year. Volunteer instead to make them yourself with ingredients more suitable to your diet plan. You can replace sugar with natural sweeteners, use healthy fats or substitute white flour with lower glycemic index grains. Don't forget to practice portion control because even healthier options than the typical holiday desserts can affect your blood sugar. Try to keep your caloric requirements in mind. When you are hungry, it is likely that you are going to make regrettable dietary choices, which is especially true during the holiday season, when facing far more temptations than on an average day. Make sure that you eat a healthy, plant-based snack before leaving. This will stabilize your blood sugar so you can withstand the urge to eat calorically dense finger foods and fill up during the actual mealtime, ideally on proteins and vegetables first. Healthy eating during the holidays may not be possible every single day, but this season of the year doesn't have to turn into a continuous feast for weeks or even months to come. Enjoy those festive meals during long-awaited social events, but return to your ordinary dietary plan and regular meals in-between gatherings to minimize the damage, to give your digestive system a chance to recover, and to obtain your nutritional requirements daily. If you have been diagnosed with a chronic disorder, take the advice of your primary care physician seriously. Don't quit your usual diet, and allow only a minimal amount of unapproved meals in order to avoid the sudden worsening of your symptoms or condition. Don't forget your prescribed medications and call your primary care physician if you experience any unusual or concerning physical signs that could indicate problems. Not only is our physiological metabolism slower during the winter months, but the frequent consumption of heavy, high-calorie, sugar- and carbohydrate-rich meals can also further reduce its normal rate. Offset this by adding extra physical activity whenever possible, burn a few extra calories, and minimize the damage caused by unhealthy dietary choices. 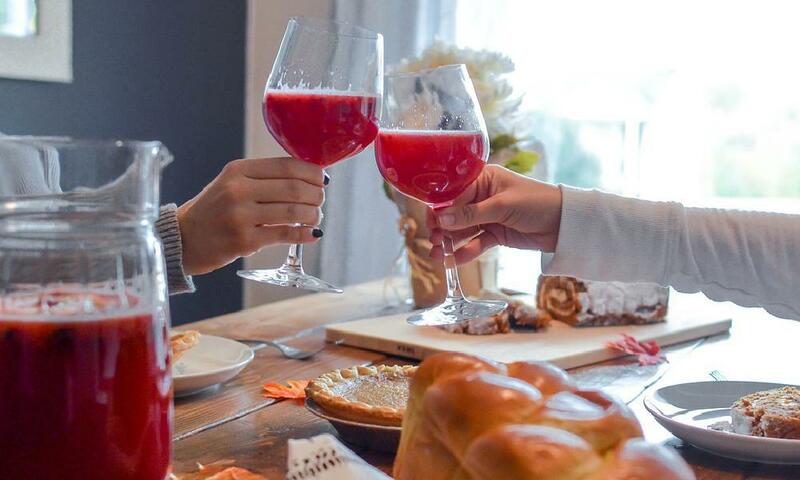 While we all look forward to our holiday favorites, make sure that these end-of-the-year gatherings are not solely about good food. Enjoy your time in the company of family or friends, find activities that are not centered around the dinner table, and focus on making lifelong memories instead of creating extra meals. A family gathering can bring on not only joy but anxieties and a whole range of unexpressed, powerful emotions, as well. Practice mindfulness when it comes to eating. This means not consuming calories to suppress your feelings. Instead, allow yourself to be in the present moment and deal with conflicts by other, more constructive means than emotional eating. And finally, don't be upset with yourself if you make poor dietary choices. Face forward and focus on making permanent lifestyle changes, where you always progress towards a healthy and balanced lifestyle, even with a few temporary — holiday — setbacks. Dr. Payal Bhandari, M.D., a San Francisco-based integrative medicine and functional medicine specialist,, encourages you to seek her assistance to develop a healthy, balanced, and customized nutritional plan that supports your well-being and longevity both during the holiday season and beyond. Her sincere devotion to offering the very best allopathic and alternative medical care to her patients along with her commitment to your holistic sense of physical and emotional health ensures that you receive top-quality assistance from an empathetic and highly knowledgeable primary care physician. Contact Dr. Bhandari and her team today if you are interested in learning about the nutritional approach to integrative medicine!